So how can we use these spices? Pepper - an absolute classic. Pepper used to be one of the most expensive spices, and is practical because it has a light kick and can be added to almost any dish. Chili - this spice is currently on trend. 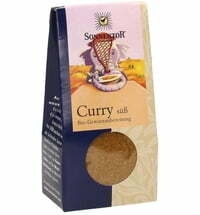 It can be mild or spicy and harmonises well with many other spices. Paprika - not as spicy as chillies, paprika has a more fruity flavour. 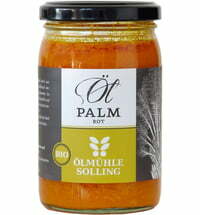 It is very versatile and is suitable for meat dishes, soups, sauces, fish etc. Nutmeg - adds a strong, nutty flavour. Use with caution! It is very strong. It tastes best with veggies and potato dishes and harmonises perfectly with allspice and fennel. Coriander & Cumin - make up the base of many curries. They blend perfectly together, but are also delicious on their own. Coriander enlivens every dish with its fine aroma, cross-cumin gives our food depth, whereby already minimal quantities reach. Cardamom - adds an extremely intense flavour to your meals! You only need a pinch of this tangy spice. Bay leaves - you can say what you want, but bay leaves often add that something special. They are excellent for rice, sauces, goulash and sauerkraut. Cinnamon - for desserts it is a must, but this spice is also great with hearty meals. It is often found in meat or Asian dishes. Cinnamon goes well with lamb, curry and moussaka. Store spices in small, air-tight sealed containers. Even if stored properly, most spices lose their flavour after a year. Never expose your spices to water vapour. They should not be stored above the stove. Buy uncooked spices. Ground varieties also lose their flavour quicker than whole spices. In addition, many spices unfold their full flavour only when they are freshly ground, especially cardamom and nutmeg. A mortar and pestle are a good investment here. There are also a few exceptions to this rule: cinnamon, paprika and chillies lose little of their original flavours when ground.